Goldwell Color Defitnition Conditioner - Light 5 oz. Goldwell Color Definition Conditioner - Light protects color and provides strength with shine for fine hair. This conditioner gives color brilliance and easy compability without weighing down the hair. Contains UV filters and gives your hair an anti-static effect. 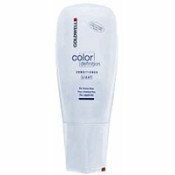 Notify me of updates to Goldwell Color Defitnition Conditioner - Light 5 oz.